A few weeks ago, a new shopping centre opened up on Green Street. Not all the shops inside are open yet (I'm eagerly waiting for the Aab store opening!) but towards the back of the East Shopping Centre, are doors to the Urban Chocolatier Dessert Lounge. Their first branch is in Whitechapel, but the new one is literally a 5-10 minute walk from my house, so of course, I had to go along and have some dessert! The store has some seating downstairs, with room for more upstairs (there were 9 of us, so we took up two booths upstairs). The nearest underground station is Upton Park and it's about a 10 minute walk from the station to the shopping centre. 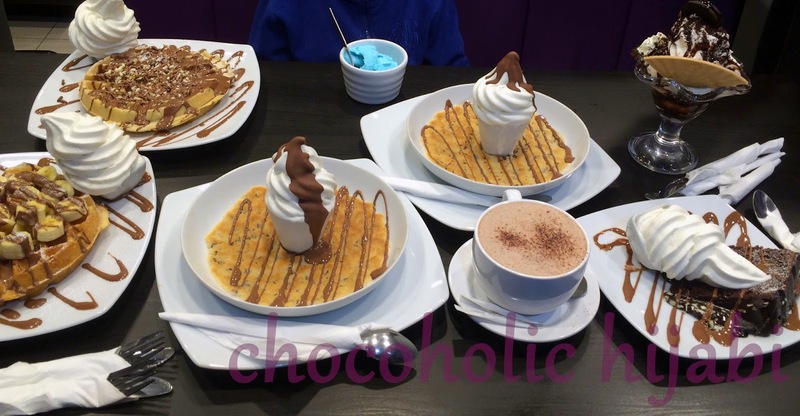 The menu at Urban Chocolatier has plenty to choose from including waffles, sundaes, hot drinks, mocktails and cakes. 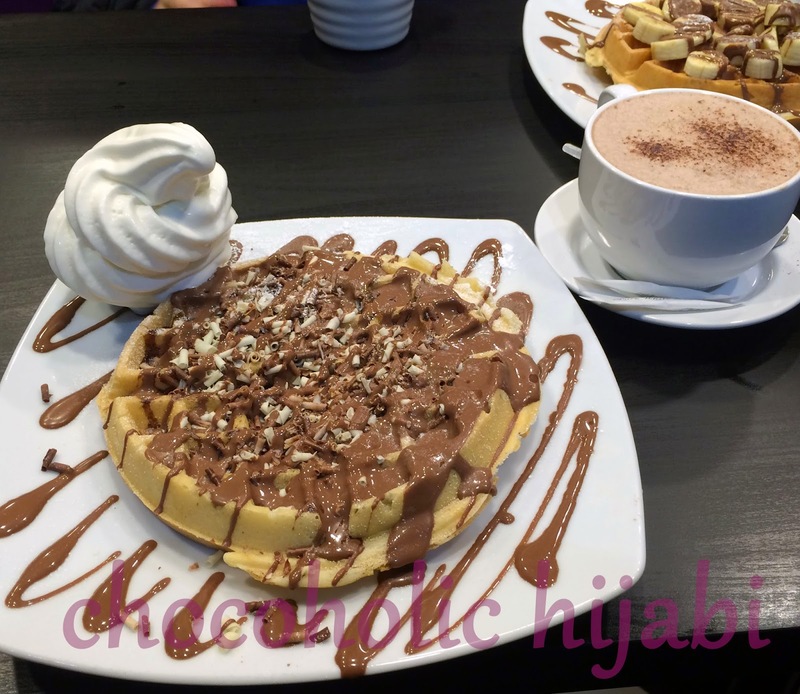 I went for the Choco Loco, which was a rather large waffle, smothered in chocolate sauce and topped with milk and white chocolate curls, served with vanilla ice-cream on the side. This was truly a case of my eyes being bigger than my stomach and I only managed to eat 3/4 of the dessert and had the last bit packed up for take away. In terms of pricing, I think it's very reasonable, considering the portion sizes and the fact that the food is fresh (no store bought waffles over here!). The menu is currently unavailable on the website but you can view it on the Zomato site here. I know it won't be long until I'm back at Urban Chocolatier again! If I went there, I'd probably never leave! This looks amaaaazing. There's a place called Snowflake in Bayswater that I go to sometimes...but this definitely takes the cake. Literally.